Roots are our foundation, our past, and all the things we have buried. Here is a prayer for those special things that keep us rooted. I know the spirit of universal love still surrounds me. and some days I feel disconnected and disheartened. help me feel rooted to faith, love, and community. I am finding deeper connections to everyone. help me breathe love into the future. A wise person once told me to live in a place like my gravestone will be next door. You claim it as your own, make yourself part of the whole, and dive in with everything you’ve got. When you give to people, you are giving to the place, too. Tears, laughter, blood from broken bones or broken hearts- it all spills into the ground and becomes food for roots. Relationships are tangible things, leaving vibrations in the air and under your feet long after you’ve gone. Traveling, I set down roots. I make myself a part of that place. There are swing sets in Chicago, trees in Saint Louis, malocas in Peru, and dumpling vendors in China where I have left fingerprints and feelings and memories. Each new place I find myself, it becomes home. I find myself home now. Not the physical house I grew up in, but surrounded by family and soon to be surrounded by friends. I am returning to old roots for a moment, for a breath of fresh air, of life and energy poured into my somewhat tired soul through the hugs of people I love dearly. I find myself blessed, with conversations and laughter that mean the world to me. I refresh myself before diving back into my new home with new roots reaching out ever so slowly in the jungle of Shanghai. I reach my roots out all over the world, feeling the community of individuals, families, teachers, friends, all who have made my life so incredibly rich. I love my worldwide roots. Don’t be afraid to jump out, to find a new home, start something new. The ones you love will still be there for you. Today’s post is from Shaza Askar, Syrian women currently studying, living and loving in Europe. 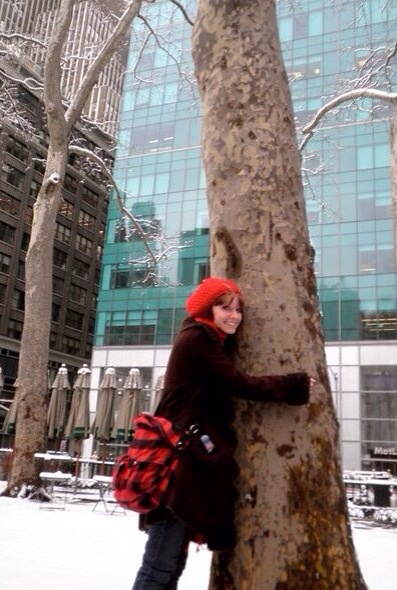 Today she shares with us a poem about the roots of her love. We are very honored to share this glimpse into the deepest parts of love. you thought were not beautiful. images you started avoiding in the mirror. and they bloom as you smile. as you go through your life. I was in Iquitos, Peru. A church recently bought a small plot of jungle ground outside of the city to build a missionary school. We had begun by sleeping in tents on shaky platforms made of sticks, but now it was time to clear the land for small houses and a maloca, a circular hut for meetings. The property was called the virgin jungle. We were, in effect, destroying a small piece of it. Some of the Peruvians came from the city; many others came from deep within the jungle and had done this many times before. The men used slashing and burning to clear a stretch of a hillside, down to a small creek that flowed with clear, fresh water. The last mission school had still water, and students had come down with malaria. Cynthia, the young woman who had pulled out the root, was a survivor. As the men slashed and burned, the women came behind. Mama Noemi, the mother of us all, crouched like a baboon over the burnt earth with her machete. She had loose breasts, strong hands, and wrinkles deep around her eyes. She had come to the mission school with her husband after she said she had been healed of blindness. She spoke more jungle dialects than any linguist at Harvard ever could. The rest of us girls, eight of us or so, came behind mama. We crouched as she did and used our hands to pull out the root systems that had fed the trees for hundreds of years. We would pull and tug and hack away, sometimes two or three girls working at one root system weaving across the top of this small mountain. That’s when the joking began. We must be pulling out our sins, hacking away in this jungle heat and sweat. As we pulled the ground, the soil and ashes began to give way to the whitest, purest sand I had ever seen. The afternoon light was beginning to fade into stretches of purple and yellow. The women went down to the creek to bathe, allowing cool water to soothe tired muscles. Mama Noemi crouched again, this time beating her laundry against a rock and then slapping it rhythmically into the water. The cooking fire lit up the dusk and smoke curled into the sky. That night, after dinner and in the dark, we gathered in a circle and sang. A girl used a tambourine from the city, and a boy beat out a rhythm echoing Mama Noemi’s laundry on his cajon, a handmade jungle drum. The stars above wrapped their gauzy light around the southern cross constellation and twisted their way through the dark, twinkling with the same echoing rhythm and bringing their own music to the cacophony. This wild place, this tiny patch of untamed ground was becoming a home, and each song was a root of their own spirituality sinking into the ground and declaring the land theirs. So they sang, wailing to the sky, their spirits as wild as the jungle surrounding them. Another month has begun. 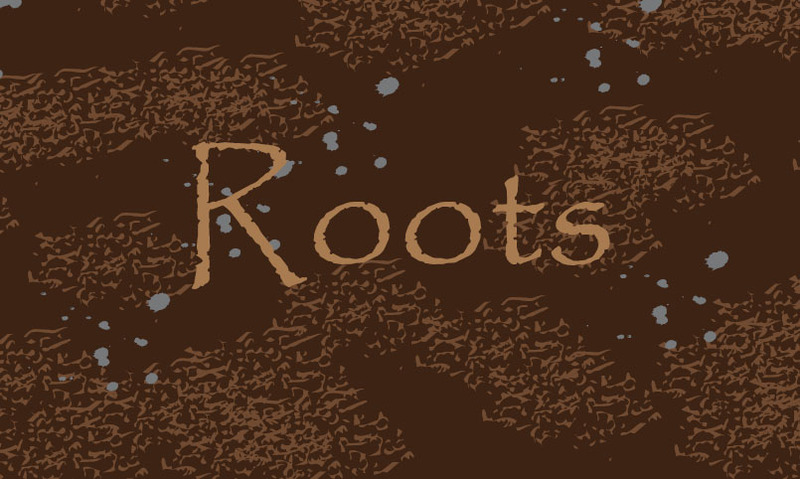 This month we are interested in roots. The dirty ones, the deep ones, the roots of faith and the roots of doubt. We want to share all the wisdom we can muster about our roots. What keeps you rooted in your faith? What have you buried? What lies below the surface of your life, of this world? Answer these questions in a post, photograph, or work of art and then submit them to Searching Sophia’s Pockets! The topic of roots is as broad as it is deep. We are interested in it all. Roots grow deep. Roots connect us to where we have been in the past and nourish us for the future. Roots are the foundation, the family, the faith that keep us strong, or make us crumble. Roots are what we hide beneath the surface, what no one else can see, but they also influence everything we are. We all have roots, our faith has roots, maybe even our creative impulses have roots. Let’s explore them all together!